Damage/Repair small dents, scratches, and tarnishing; see pictures for details. 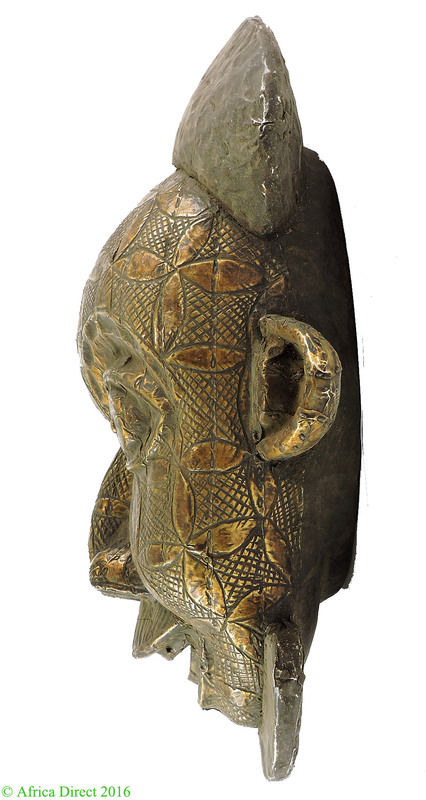 Additional Information: Identified with the Bamun, this mask shares stylistic traits with the Bamileke or even with the Tikar and other Western Grasslands peoples, reflecting the complex transfer of style through trade and the migration of artists. 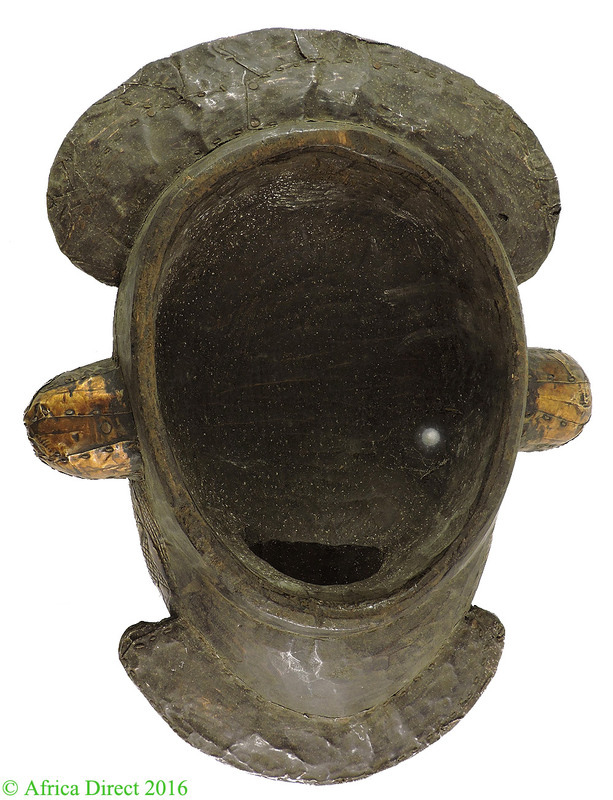 The mask is made of wood covered with brass sheeting, with silver on the eyes and teeth. 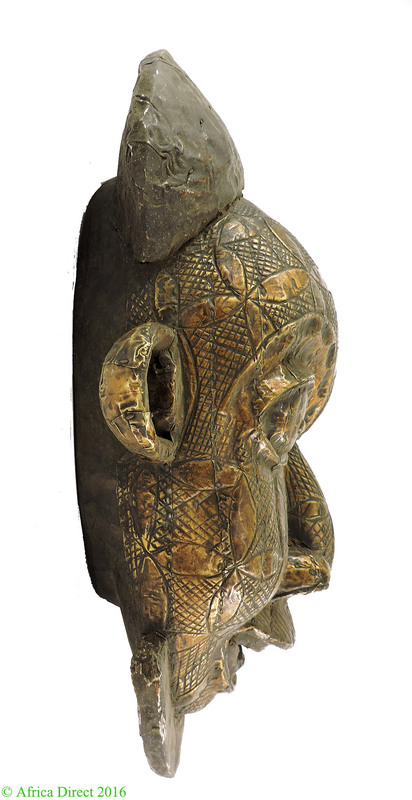 The headdress is wrapped in cotton cloth. 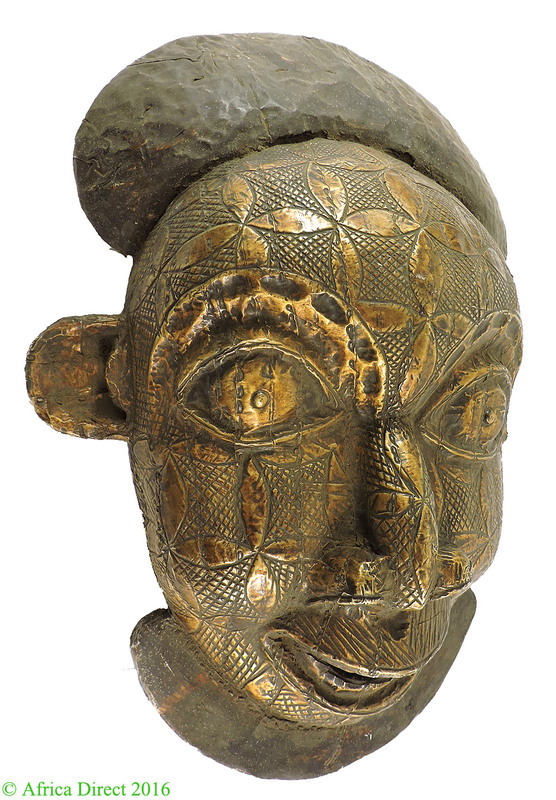 This mask is a stron and well-crafted example of the art of Cameroon and carries symbolic meaning as well as aesthetic reflection of the artistically sophisticated Bamun people. 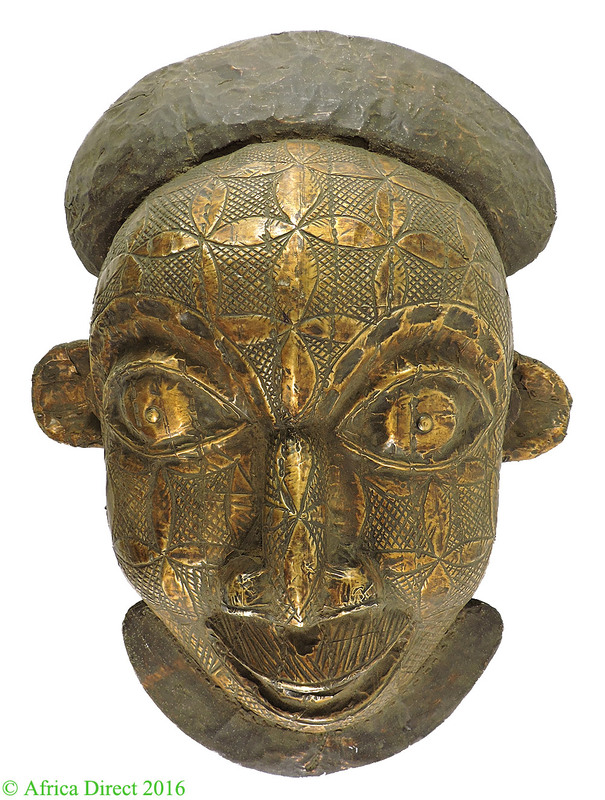 Such a headpiece was worn on the head by retainers at the courts of various Grasslands kingdoms in Cameroon. Thay appeared at ceremonies associated with planting and harvesting as well as other events celebrating the rulers or simply as entertainment for the king and his court.